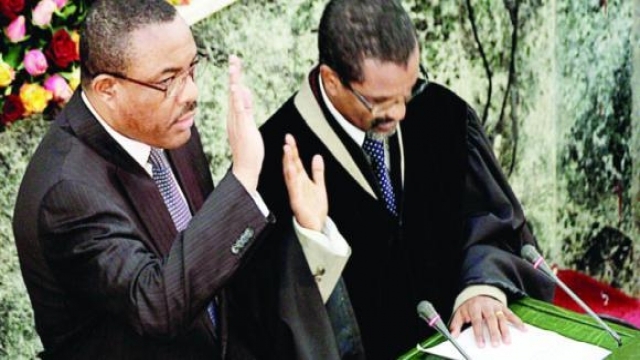 Ethiopia’s parliament has sworn in Hailemariam Desalegn as the country’s new leader. Mr. Hailemariam replaces longtime Prime Minister Meles Zenawi, who died of an undisclosed illness last month at the age of 57. The French News Agency quotes Mr. Hailemariam as pledging to continue Mr. Meles’ legacy without any changes. Mr. Hailemariam was a close ally of the former leader and has previously served as minister of foreign affairs and deputy prime minister. Many say the 47-year-old prime minister was handpicked for the position by Mr. Meles who was planning to step down after the 2015 election. Mr. Hailemariam will be Ethiopia’s first new leader since 1991, when the guerilla movement TPLF overthrew the military junta of Mengistu Hailemariam. 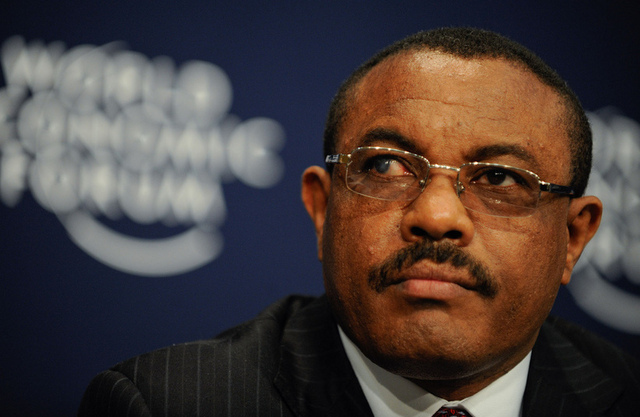 ADDIS ABABA, Ethiopia (AP) — Ethiopia’s ruling party on Saturday named as its leader acting Prime Minister Hailemariam Desalegn, who took over after the death last month of longtime leader Meles Zenawi, an official said at the end of a congress of party bosses. ADDIS ABABA — Ethiopians will soon learn the identity of their new prime minister. The ruling party, the Ethiopian People’s Revolutionary Democratic Front (EPRDF), is having a council meeting on Friday and Saturday in Addis Ababa. The council, the highest organ of the EPRDF after the general assembly, will decide who the new chairperson of the party will be. The chairperson will most likely become the new leader of the East African country. Deputy Prime Minister Hailemariam Desalegn was supposed to be sworn in right after the death of former Prime Minister Meles Zenawi last month. It is still believed that the council will choose Hailemariam as the chairperson, but local newspapers report that that the EPRDF will appoint three deputy prime ministers. Dr. Negaso Gidada, the former Ethiopian president who was part of drafting the Ethiopian constitution, is currently an opposition leader and says that having three deputies would be unconstitutional. “You can refer to article 75 of the constitution which speaks about DPM. Whatever the case, the constitution speaks of only one DPM, not two or three more. If it is true, it means the EPRDF is continuing its violation of the constitution and that it’s not leading the country according to the constitution,” he said. Negaso feels the EPRDF was already in violation of the constitution by delaying the appointment of the deputy prime minister. But the delay might also explain Ethiopia’s changing power politics says veteran political scientist Medhane Tadesse. EPRDF council members chose not to comment before the meeting was over. A statement on the newly elected chairman is expected to be released this weekend.